Still no closer to unravelling the mystery of my Italian fan-base (do drop me a line! ), but I'll continue with part 2 and more on Italian culture in Japan. Let's look at food first, specifically Japan's love affair with Italian cuisine which has exploded since the 1990s. Indeed, Italian restaurants are absolutely everywhere and are even more common than the ubiquitous Indian and Chinese eateries. I've heard it said that the two cuisines share a lot of common elements, such as an emphasis on seasonality and simplicity. 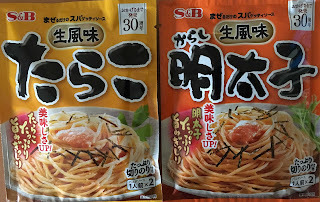 In fact, Japanese love pasta so much they even created their own dish: Napolitan (ナポリタン) which was created after the war by the chef of the New grand Hotel in Yokohama who was apparently inspired by GHQ rations of spaghetti mixed with tomato sauce (ketchup). Today, Napolitan, containing ham, sausage, green peppers, and canned mushrooms topped with powdered cheese (recipe here), is a staple at small cafes and family restaurants and is even featured on the menu of the fast food franchise Mr Donut (pictured). Unaware that it is a Japanese original, many Japanese travel to Napoli and ask for this only to be met with blank stares: ''Spaghetti alla Napoletana” is a completely unrelated dish! 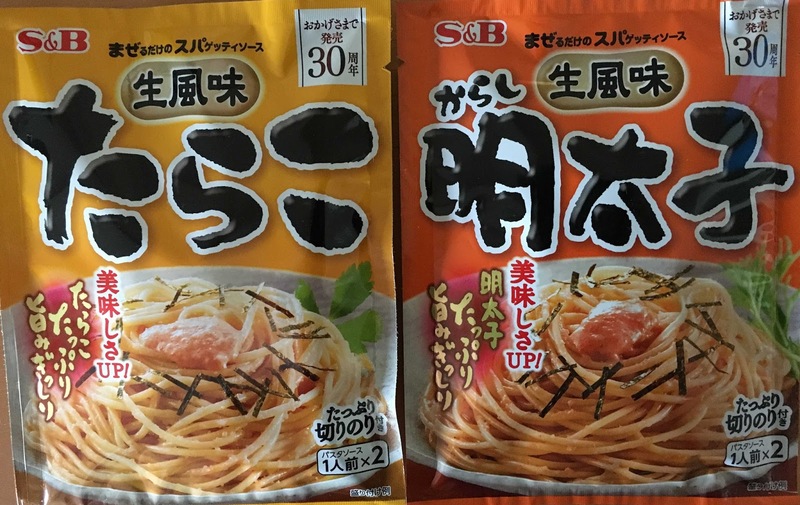 But although Italians coming to Japan may be horrified to find "ketchup spaghetti" carrying the name of one of their most hallowed cities, they will also surely enjoy other inventions such as tarako (cod roe) and mentaiko (spicy pollack roe) spaghetti with nori (seaweed) sprinkled on top which are absolutely delicious! One thing I've noticed in recent years is the diversification of Japan's coffee culture: whereas in the past there was usually little choice beyond burendo (blended filtered drip coffee) or "American" (weak diluted espresso), today there are thousands of speciality shops and bars and Japan has become one of the biggest importers of coffee beans in the world. In particular, genuine espresso has become immensely popular: it is available (single or double) in one of the most popular cafes in Tokyo, Pronto, which is conceived as "an Italian bar, where you can enjoy aromatic Italian-style coffee and bread in the morning and pasta for lunch." Another cafe that seems to be appearing all over the place recently is Segafredo, whose headquarters are in Italy. After all that food and drink, you'll probably ready to settle down to a good film and luckily the Festival del Cinema Italiano (Itaria eiga sai=イタリア映画祭) was held in Tokyo earlier this month and will open in Osaka later this month. As well as showcasing some recent award winning films, a number of famous Italian directors also visited Japan and held talk shows after their films. In the panel hosting the Manetti brothers and Sydney Sibilia, the directors waxed lyrical about how influential Japanese anime (cartoons) had been for them, particularly classics like Captain Tsubasa and the Rose of Versailles, which were apparently something of an after-school staple for many Italians during their youth. It was interesting to note a frisson of unease among the high-brow Japanese audience which only grew when in response to a question on the influence of the legendary Japanese director Kurosawa, the Italian directors instead cited Takeshi Kitano as an inspiration (in Japan, "Beat Takeshi" is more widely known for his role as a comical TV host than for his directing of Tarantino-esque movies). De Gustibus non est disputandum!